For some students, riding MARTA isn’t much of a breeze as originally thought. The Signal received a tip from several students that the Georgia State-issued Breeze Card often malfunctions when students attempt to ride MARTA buses. This malfunction not only prevented boarding, but also charged extraneous fees to the cards, leaving students with a bill that far exceeded the original cost of riding the buses. Director of Administrative and Customer Services Phil Wells said they’re aware of the problems with the cards. “MARTA is having some issues with some [Georgia State] student Breeze cards who ride on the buses,” he said. Wells also provided an explanation as to why this may be happening and said that campus services are working to limit the impact this has on students. Currently, MARTA is working to alleviate this issue for students, but there is no set timeline on when this will be resolved. 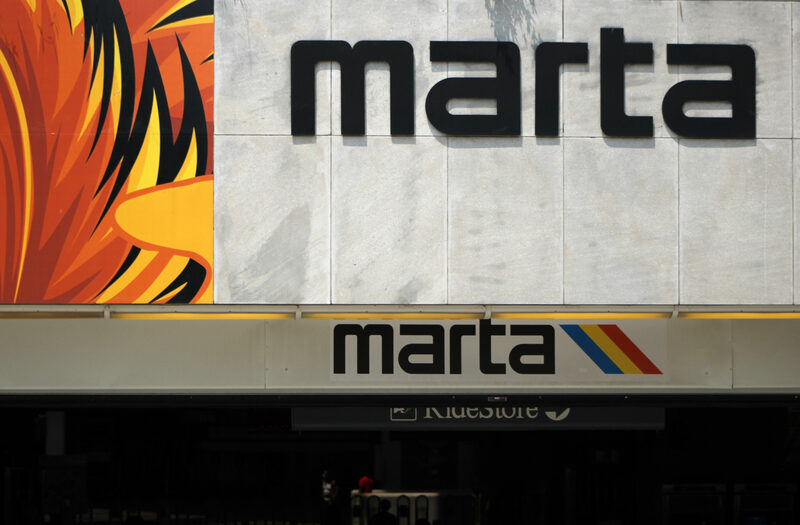 “A MARTA representative advised us [on Oct. 31] that they have recently completed a data collection effort regarding the bus issue and will be providing the information to their IT department so they can investigate and hopefully find a solution to this issue. They did not provide a timeline on resolution,” Wells said. MARTA spokesperson Stephany Fisher said MARTA is still looking into the issue and that individuals will also need to contact Georgia State to have the issue resolved. “We value our partnership with [Georgia State] and its students and apologize for any inconvenience. We continue to investigate this issue and will monitor the situation closely to ensure it is resolved. If a student has an issue with their pass, please notify your contact at GSU and they will notify MARTA so we can adjust the account or replace the card,” Fisher said. Wells said it was important that students make sure they are not trying to ride on the Gwinnett County Transit bus service or any other county-specific service with their Georgia State-issued Breeze cards. The cards are intended to only work with MARTA trains and buses. “Students may sometimes mistakenly purchase a MARTA Breeze card when they actually want to ride the Xpress buses. Even though MARTA includes the regional carriers such as GRTA (Xpress), Cobb County Transit, and Gwinnett County Transit logos on the [Georgia State] Breeze cards, the [Georgia State] Breeze card will not work for any other carrier. Because of the reduced cost we receive from MARTA, [Georgia State] cards are specially programmed so they will not work with any carrier except MARTA,” Wells said. In the meantime, students who choose to ride the MARTA buses must attempt to convince their drivers that their card is, in fact, legitimate.